After the 2013 tornado, central Illinois residents united to support their neighbors, family, friends and coworkers who lost their homes in Tazewell County. 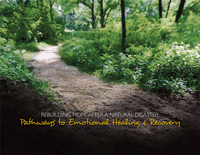 To support long-term recovery needs of central Illinois, the Heart of Illinois United Way established a tornado relief fund and published the book Rebuilding Hope After a Natural Disaster: Pathways to Emotional Healing and Recovery. Survivors of a natural disaster need concise calming and coping strategies to help for both short and long-term needs. The purpose of this book is to provide valuable assistance to survivors, caregivers and support groups. Included are personal first-hand experience stories, emotional recovery strategies, and resources for a variety of post-disaster time periods and age groups. “Rebuilding Hope” is meant to serve as an effective tool to offer emotional support during the healing process, to help communities recover, and to ultimately rebuild hope. Emotional healing after a natural disaster or traumatic event is a journey, unique to each individual. Rebuilding Hope After a Natural Disaster: Pathways to Emotional Healing and Recovery provides calming and coping strategies to assist survivors, caregivers, and support groups along their pathway to emotional healing. The complete strategies from Rebuilding Hope After a Natural Disaster, are available online by clicking here. Resources in the book are organized by age group. They include post-disaster emotional recovery suggestions, a guide to legal services, and contact information for the Heart of Illinois 2-1-1 call center. Click here for a complete list. The writing team of Rebuilding Hope After a Natural Disaster: Pathways to Emotional Healing and Recovery includes a diverse group of tornado survivors, emotional health specialists, educators, community members and Heart of Illinois United Way staff. For more information on the contributors, click here.